Jakarta, Indonesia, 12 November 2018 - East Ventures, an early stage fund focused on Southeast Asia and Japan that has a strong track record in developing pan-Asia tech-ecosystems including four of Asia’s unicorns, is appointed as Alibaba’s eFounder Fellowship advisor. The two Managing Partner and Co-Founder, Willson Cuaca and Batara Eto, were chosen to mentor the 40 founders that selected into the program in Alibaba campus in Hangzhou. Among the 40 participants are two of East Ventures portfolio, Warung Pintar and Bizzy founders. Started in 2017, the eFounder Fellowship program is part of Alibaba and United Nations Conference on Trade and Development (UNCTAD) commitment to reach the Sustainable Development Goals to support 1000 entrepreneurs in developing countries to become catalysts for the digital transformation in their home countries. The collaboration is designed to help bridge the digital divide faced by young entrepreneurs in developing countries and allow them to grasp the opportunities of inclusive e-commerce ecosystems. Jointly organized by Alibaba Business School (ABS) and UNCTAD, the 14-days program will provide first-hand exposure to e-commerce innovations that enabled growth and a more inclusive development model for all, access to business leaders across Alibaba and China, as well as an opportunity to connect with leading entrepreneurs in the region. As one of the most active global seed investors1 combined with their strong record in supporting more than 300 startups across Asia, East Ventures then appointed by Alibaba to be the program advisor. The two Managing Partner and co-founder, Willson Cuaca and Batara Eto, were chosen to mentor the 40 founders that selected into the program in Alibaba campus in Hangzhou. “We are delighted to have East Ventures as part of the eFounders Fellowship advisor network. The advisor network was created to provide continuous support to entrepreneurs who have graduated from the eFounders Fellowship course,” said Brian A. Wong, Vice President of Alibaba Group, who heads the Global Initiatives team. “We are seeing the positive impact and outcomes the eFounders Fellows’ community is creating in their home markets. And our advisors play an important role in shaping this community and providing mentorship and advice to entrepreneurs as they grow in their local markets”, he added. The 4th batch of the program - named Class 4 - has begun since 9th November 2018. Three Indonesian entrepreneurs Agung Bezharie, Andrew Mawikere, and Rade Tampubolon, Warung Pintar, Bizzy, and SocialBuzz founder respectively, together with 40 founders from 11 countries were chosen to join the intensive bootcamp. Chinese single day that falls on 11th November every year has long known as Alibaba’s most famous shopping festival. This year, the class 4 participants witness the largest Alibaba shopping festival 11.11 and how Alibaba integrate the online and offline experience. 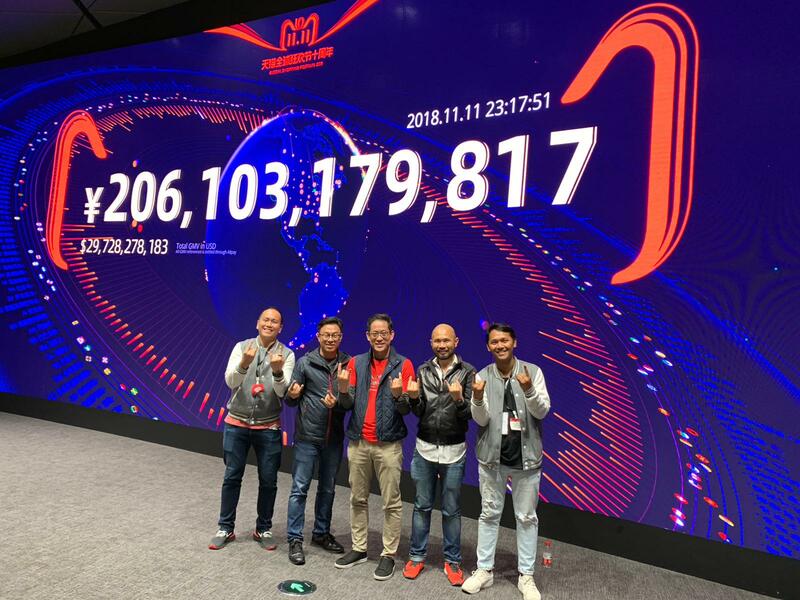 He added, “Having to witness mind-blowing 11.11 sales record also give inspired entrepreneurs a perspective that you are limitless and showing the committed of Alibaba's employees to make the 24 hours sales a huge success. We are honored to be able to share our Indonesia story to inspiring entrepreneurs all over the region and thank Alibaba for the experience.